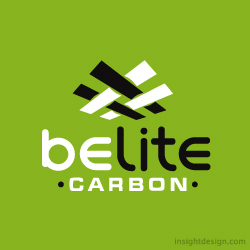 BeLite Carbon is a global carbon aircraft part manufacturer. The logo represents the well-known carbon weave. The perspective echos a plane in the sky. Logo design Wichita, KS.